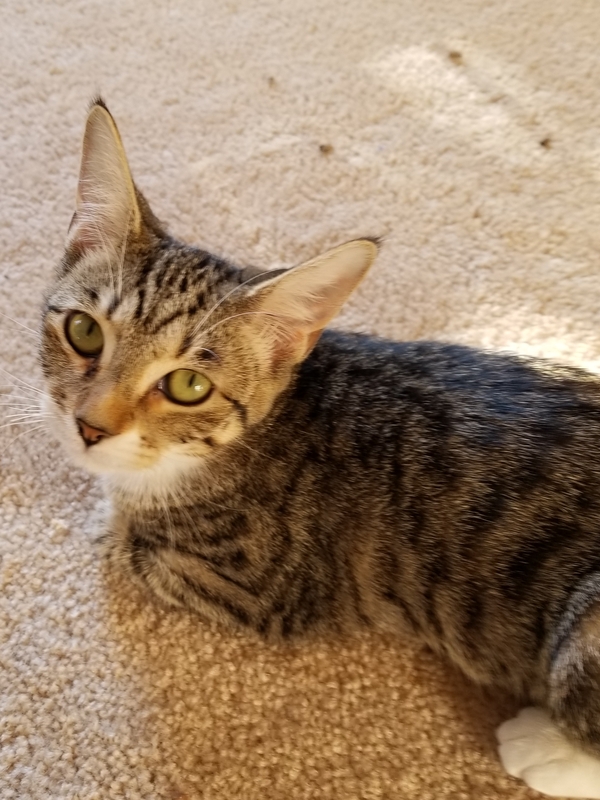 Maria and her brother Markie arrived as evacuees from Hurricane Florence and have been fostered with pal Minnie. 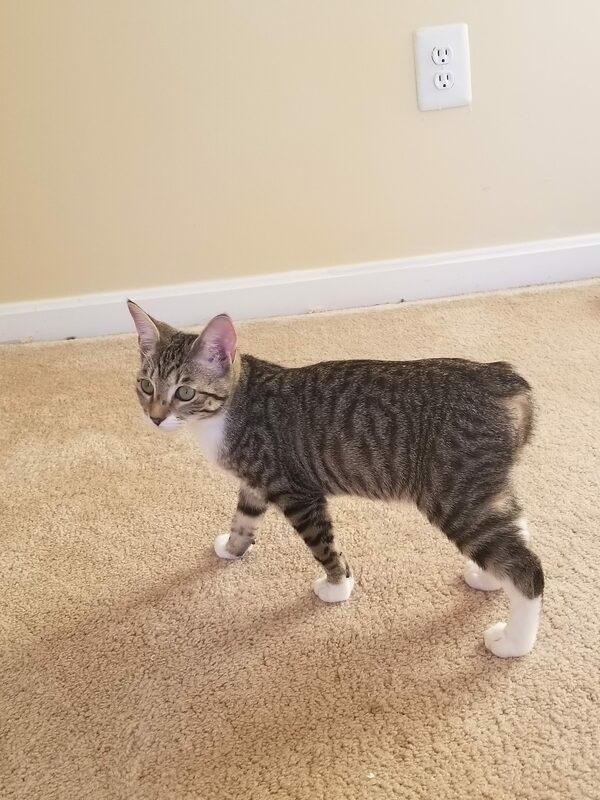 Maria has just a cute nub of a tail like a Manx. She is a wee bit shy, and takes a little longer to warm up than Markie, but once she does she is a true fan of ear rubs and chin scratches! Cat treats are the way to her heart. Maria would do best with a cat companion of a similar age, and gets along well with both Markie and Minnie. For more information or to meet Maria, please email cats@lostdogrescue.org.